I’ve struggled with my skin since the age of 10, which was when I first went to the doctors to be prescribed something. I remember it was called ‘Zineryt’ this stinky, and sticky feeling lotion that I had to put on my face that stung really bad. Over the years I’ve tried many different strength prescription and over the counter peroxide creams, herbal remedies, antibiotics, you name it, I’ve been on it. I even went on a course of Isotretinoin when I was 15 (in 2010), more commonly known as Accutane, which was super harsh. I was on a course for about 4 months, where in that time the Isotretinoin basically killed my sebaceous glands, which was meant to stop the acne forming. The side effects that I had were; back pain, super dry, flaky and cracking skin, headaches, and just generally feeling quite ‘down’ but it did work wonders for my skin! However fast forward a few years, to 2015. My skin started to misbehave again a little. So I started my search to find skincare that will be gentle on my skin so as not to dry it out or make it flare up as my skin is rather sensitive, but I still wanted keep the acne at bay. I tried a few different products that worked over a short while, but then would stop working and I’d be back to square one. Then, last year, I discovered a line of skincare that Changed. The. Game. 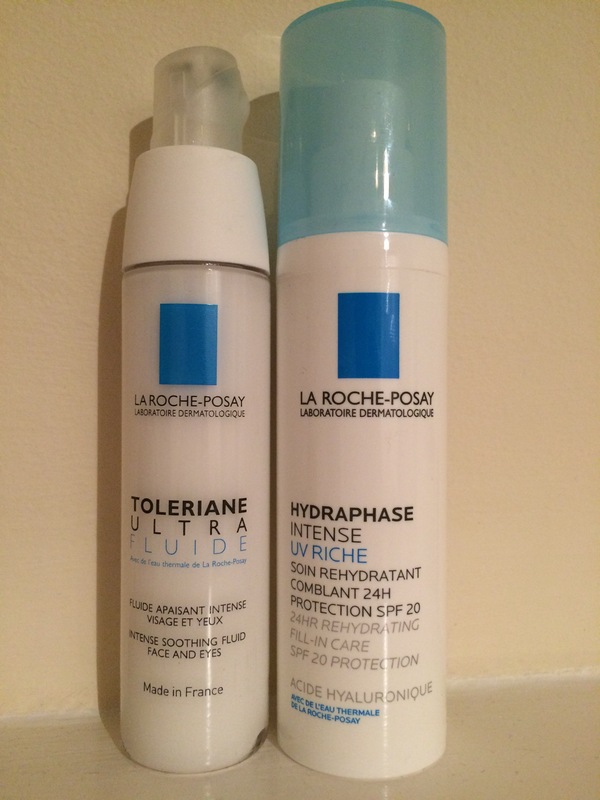 La Roche Posay, you are my shining ray of light. Not only do they cater for skin that is prone to breakouts, but in the same product, it cares for sensitive skin. I find that their range works so well for my skin. 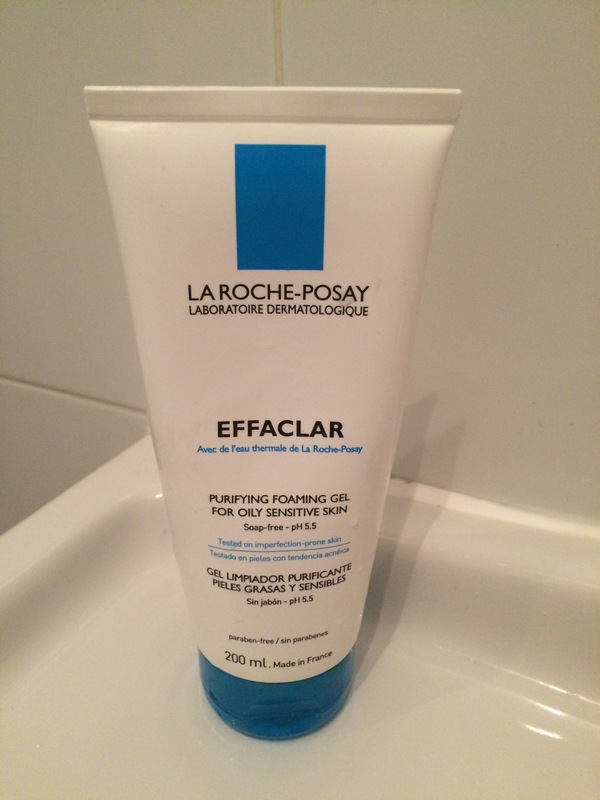 The Effaclar range specifically targets and is formulated for skin that is greasy and prone to breakouts, so I use their effaclar face wash morning and night as my skin can get greasy, but also gets very dry, so in the morning I use their Hydraphase Intense UV SPF 20 moisturiser. This not only tops my skin up with much needed moisture, but also protects my skin from the sun too! Something that is important to get into a habit of doing whilst you’re young to help keep your youthful skin! In the evening I use the Toleriane Ultra Fluid as my night time moisturiser. This is a super gentle moisturiser that does not irritate my skin in the slightest, but just gives it pure, gentle but great hydration for the night. This cream is so kind to your skin you can even use it on your eye contours. These 3 products together work for me like a dream. They all balance out my face so it just feels comfortable and calm. I will use a face mask every now and then (maybe once a month, maybe less.. Probably should do that more!) but on a daily basis I find that this is all I need. I love that I’ve been able to condense my skincare routine into just these 3 products that work so well. Keeping things simple seems to work so well in so many aspects of my life, skincare may as well be one more of those things! I’d say the price range of these products are mid-range. I buy mine in Boots (where they often have deals on the line) and for the quality of product, I’m happy to pay that bit more than I would for something from Neutrogena or other companies, because I know that I am getting a quality product that actually works. I highly recommend you give this company a go if you have specific skincare issues, as they have a few different ranges that target different concerns. They have worked so well for me, I hope this post encourages someone else to give them a go, and hopefully find the products that finally work for them! P.s- This post is in no way sponsored, these are all my personal views, I just wanted to share with you a brand that I really love!